My favourites this month. Again, they could be anything! From movies and tv to food and makeup, let's see what I've enjoyed this month... 1. Yoga. I've taken it up again! I'm easing myself in with the 30 days of yoga challenge with "Yoga With Adriene" on YouTube. I completed this last year and thought it would be a handy tool to get myself back in to the swing of it. I seem to be on a bit of a fitness kick at the moment, so if anyone has any tips for an ultimate beginner to fitness, please let me know! I don't like all of the quick fix stuff that seems to go around so often on social media, so none o' that please and thanks! I do have an end goal in mind, but I don't mind if it takes me a while to get there the healthy way. 2. 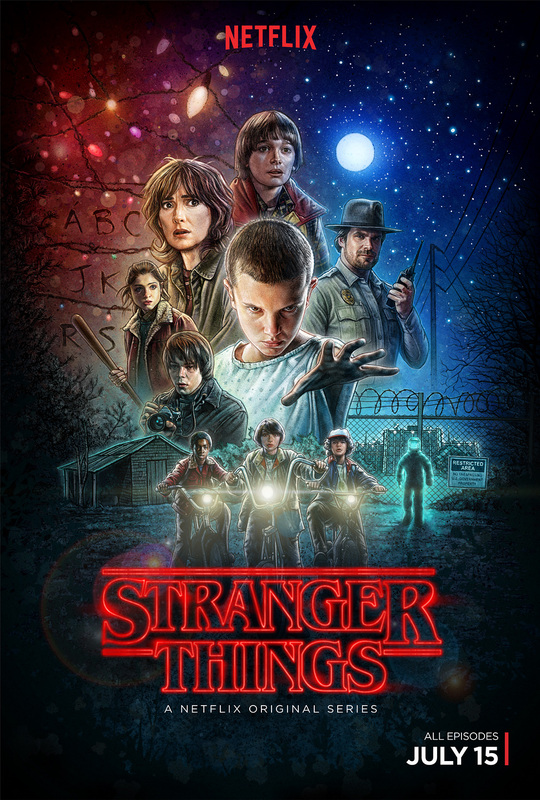 A new Netflix original series; Stranger Things. First off, can we just talk about this typeface? Jesus. My eyes turned in to massive hearts and popped out of my head when I saw it. BEAUDIFUL. AND THEN THE POSTER! Eesh. I love a good classic illustrated poster. You can find the artist Apart from all the good artwork for this, it's a really great series. I honestly think it's probably the best new tv show I've seen all year. I don't want to give anything away about it if you haven't seen it though, so go watch it!!! 3. The fact that Harry's family garden is filled with yummy fruit and vegetables. 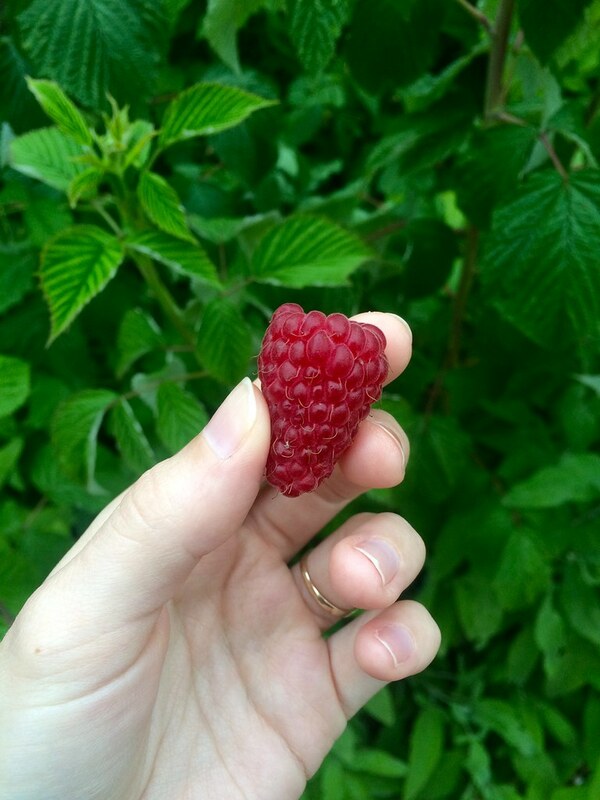 Why does something that's home grown, even when it hasn't been grown by you, taste so much better? This month I've been enjoying courgettes, artichokes, sorrel, raspberries, strawberries and mint. The tomatoes will be ready soon, too. 4. This tea: I think this is my favourite earl grey ever (so far), and now that I'm out of boring in comparison Waitrose tea bags I can enjoy this every day instead of only occasionally when I'm feeling faaaancy 💅🏻. I'm a lover of anything bergamot, and this is really bergamot-y and floral and mmmmgood. 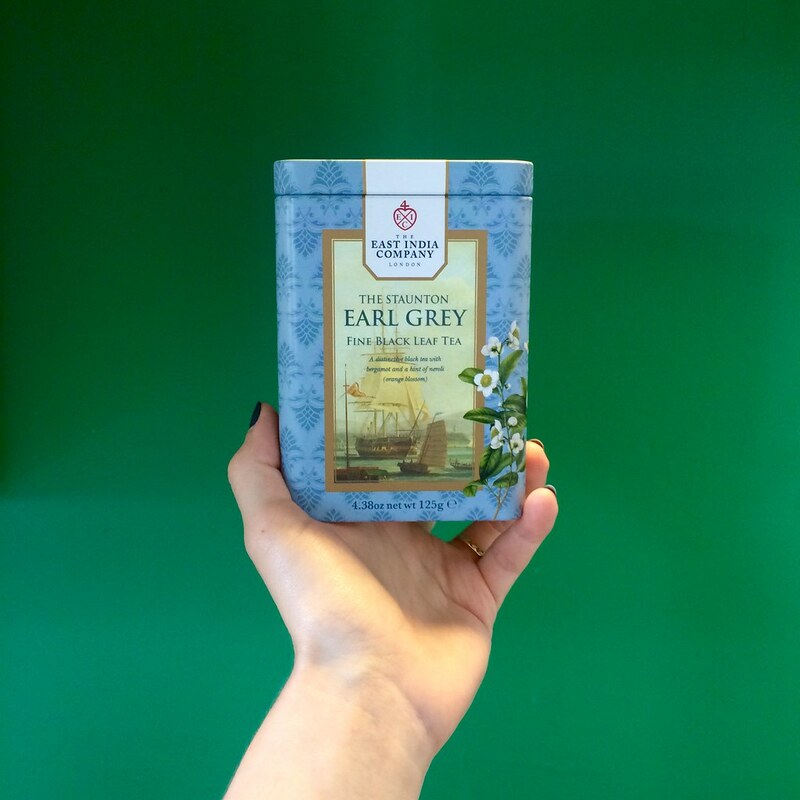 If you're an earl grey lover and haven't tried this, come over for a cup, and bring some biscuits!